Locally owned gift shop featuring traditional Irish gifts, Minnetonka moccasins, gem mining, and a deer petting zoo. Visit Black Forest Trading Post & Deer Park on Route 6! Minnetonka brand moccasins - women's moccasins, men's moccasins, and moccasins for kids. Shop now! Shop our traditional Irish gifts from Ireland. Celtic jewelry, fragrances, clothes, and more! 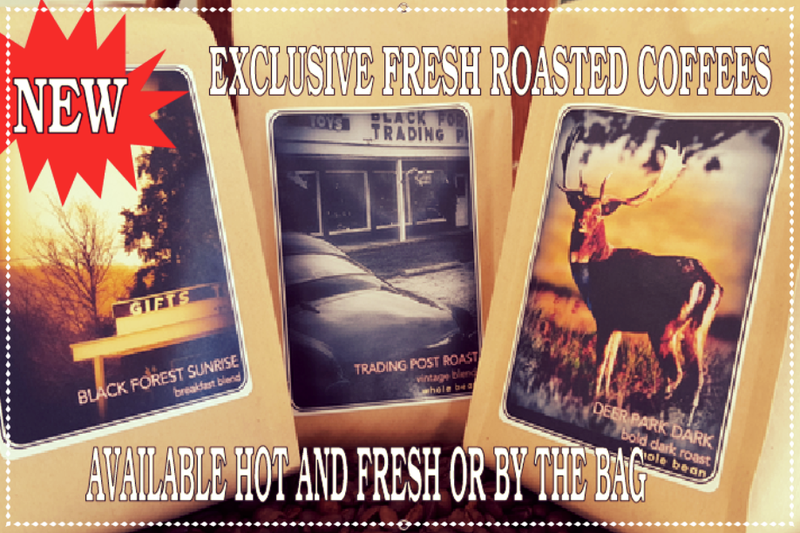 Coffee for sale in bags & in cups. The perfect break from a long drive on Route 6! Shop our collection of Heather Gems from Scotland. Warm and cozy Irish caps for men, women, and kids. Shop now! Keep out the chill with our extra-long wool scarves. Shop now! Thank you! You'll receive personal email updates about Black Forest Trading Post.